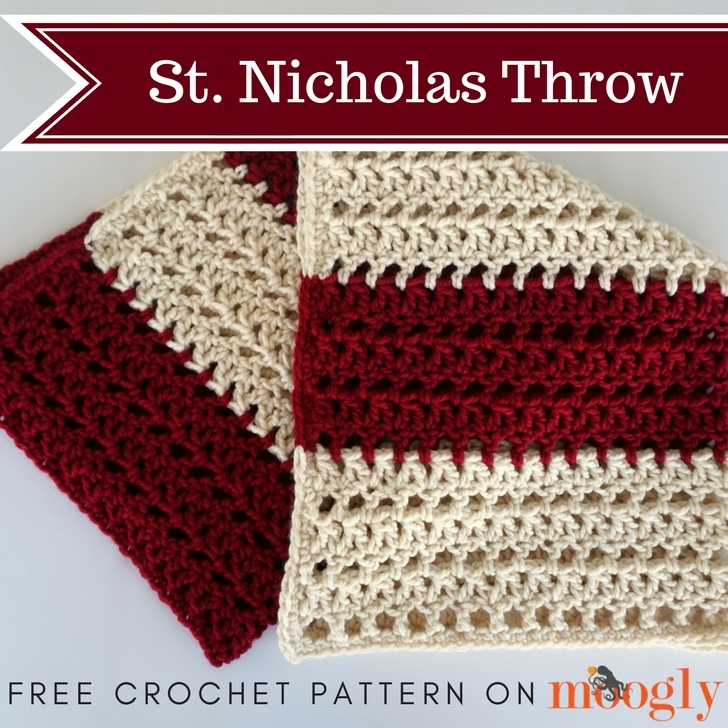 The St. Nicholas Throw is my last blanket pattern for 2017 – and it has a whole list of reasons why it’s earned that name! The St. Nicholas Blanket is, of course, a bit Christmas-y in beautiful Lion Brand Wool-Ease Thick & Quick Fisherman and Cranberry. But it’s also very fast to crochet – so you can deliver it in the “nick” of time! And it’s also a nod to my brother, Nicholas, who passed away several years ago. I’m not claiming he was a saint (he was my little brother after all!) – but he did love Christmas, and I’d like to think he’d love this bold, cozy blanket as well. 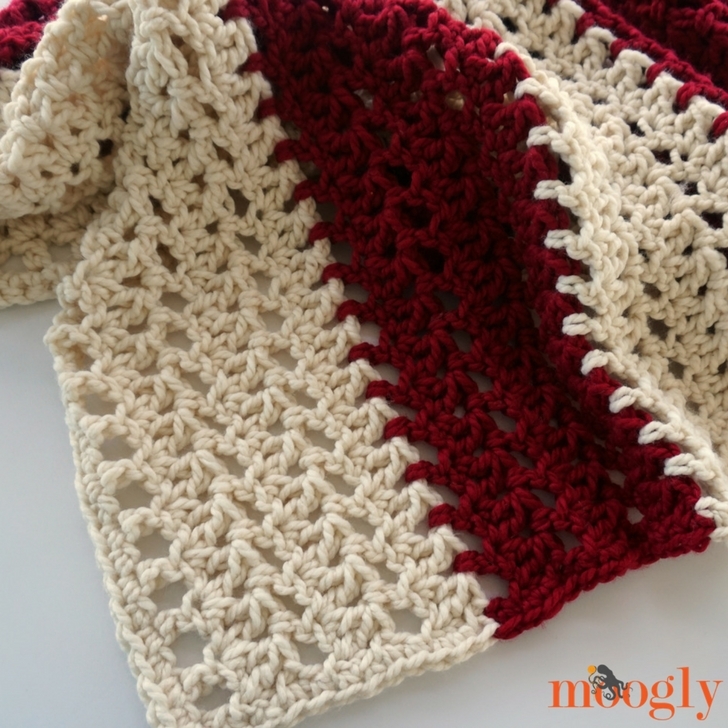 Stitch Multiple: mult of 2 – This means you can start with a chain that’s any multiple of 2 to create this blanket in your own custom size! 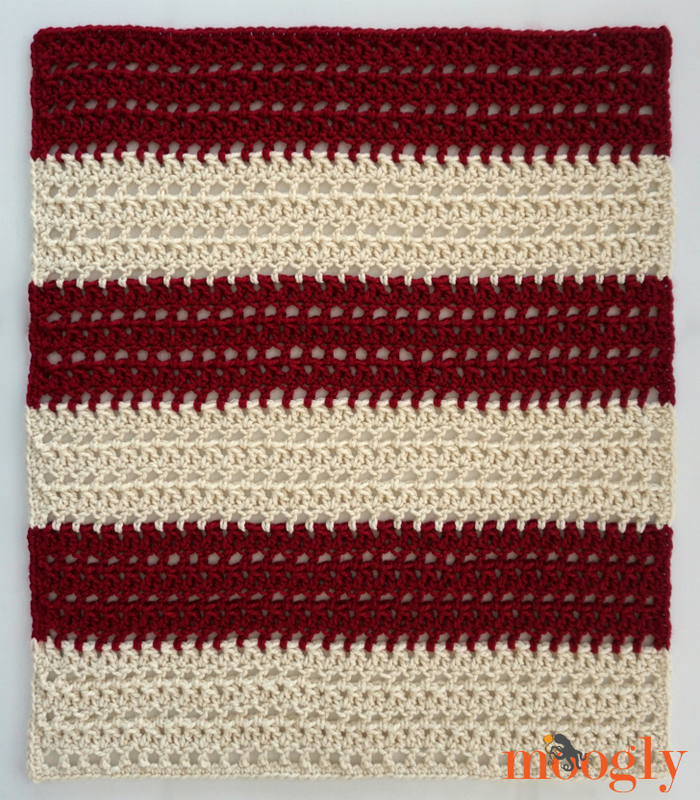 Get this pattern with the yarn as a Lion Brand Kit – click here! If desired, substitute a Chainless Starting Double Crochet for the “ch 3 (counts as 1st dc)” at the beginning of the even-numbered rows – see linked tutorial above. If desired, substitute a Chainless Starting Double Crochet and ch 1 for the “ch 4 (counts as 1st dc and ch 1) at the beginning of the odd-numbered rows (starting with Row 3). 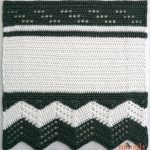 If desired, substitute a Standing Double Crochet instead of joining with a sl st and ch 3 to begin each new color (Rows 7, 13, 19, 25, and 31) – see linked tutorial above. Row 5 and 6: Repeat Rows 3 and 4, break Color A. Rows 9 – 12: Repeat Rows 3 and 4 twice, break Color B. Rows 13 – 18: With Color A, repeat Rows 7 – 12. Rows 19 – 24: With Color B, repeat Rows 7 – 12. Rows 25 – 30: With Color A, repeat Rows 7 – 12. Rows 31 – 36: With Color B, repeat Rows 7 – 12, do not break yarn or turn. Edging: Continuing with Color B, turn blanket 90 degrees to crochet along the side, ch 1, sc evenly around blanket switching colors as needed to match the rows, and working ch-2 at each corner; join to 1st sc and break yarn. 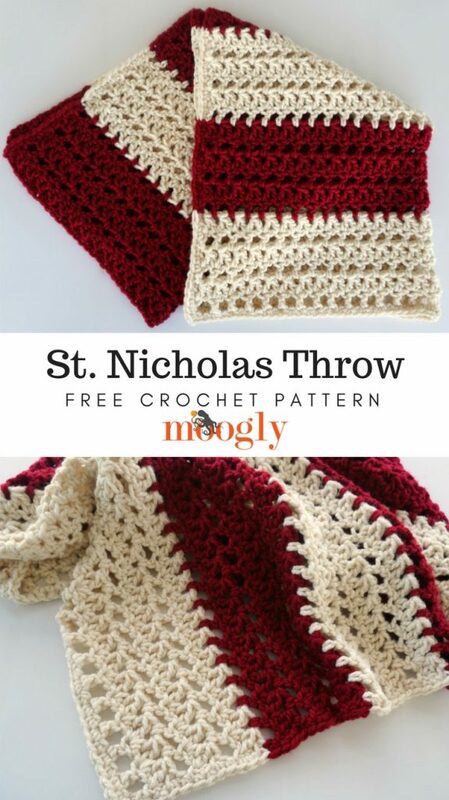 I hope you enjoy making the free St. Nicholas Throw crochet pattern – and share your photos (after the holidays if it’s a surprise of course!) – you can tag me on Twitter and Instagram @mooglyblog, or share on the Moogly Facebook page! Or send in your photos to [email protected]! I love to see what you’ve made! So nice! Perfect for curling up on the couch 🙂 Thank for sharing!! I love this yarn for beautiful and quick projects! Have made several afghans for Maine relatives and scarves for gifts. Can’t wait to start this one, so pretty and love following your site and making your patterns. 😀 Thank you so much Peg! what are the multiples for this pattern? thank you.